Small classic vanity made and hand painted in Guatemala. Assorted colors. Classic vanity in the shape of an elongated skull. 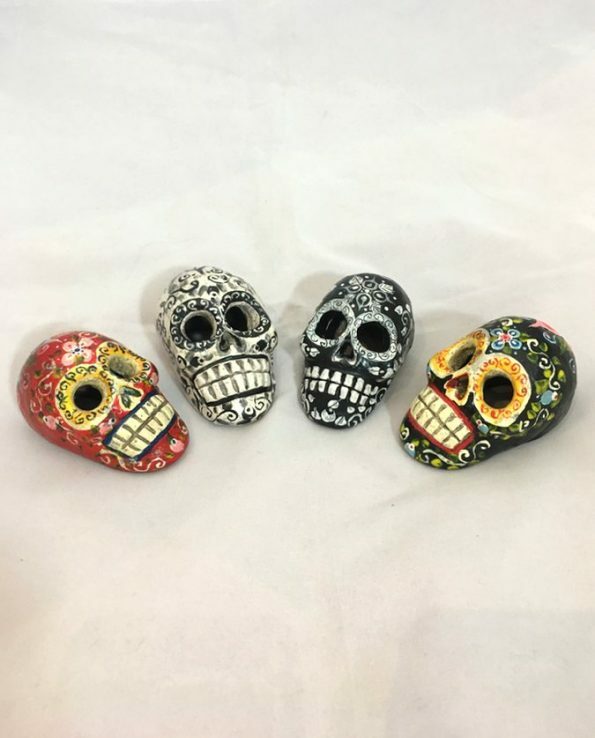 Entirely made and hand painted in Guatemala by a craftsman artist from the highlands of Guatemala. 6 assorted colors painted with flowers and motifs inspired by traditional Guatemalan cultures. SKU: VM 2222 Categories: Home decoration, Naïve art, Skulls and Vanities Tag: Vivan Los Muertos !